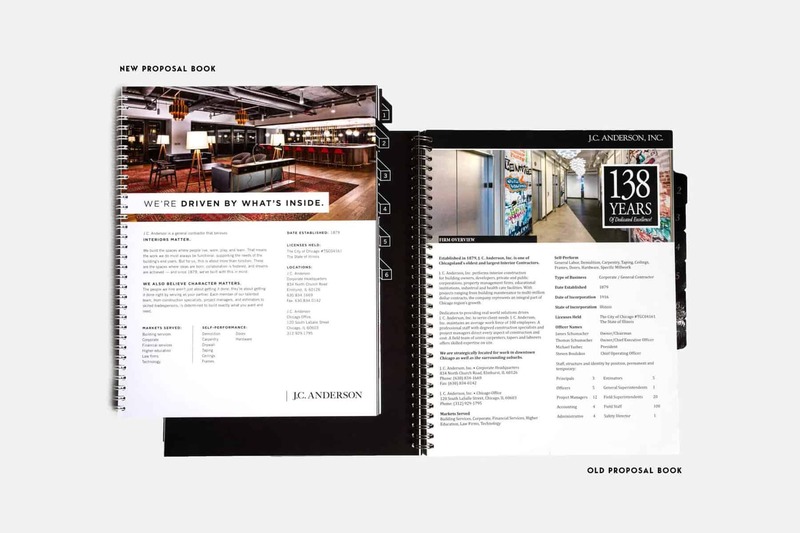 With over 139 years of experience, J.C. Anderson is the largest interiors only contractor in the Chicago area. The firm performs interior construction for building owners, developers, private and public corporations, property management companies, and various other facilities. 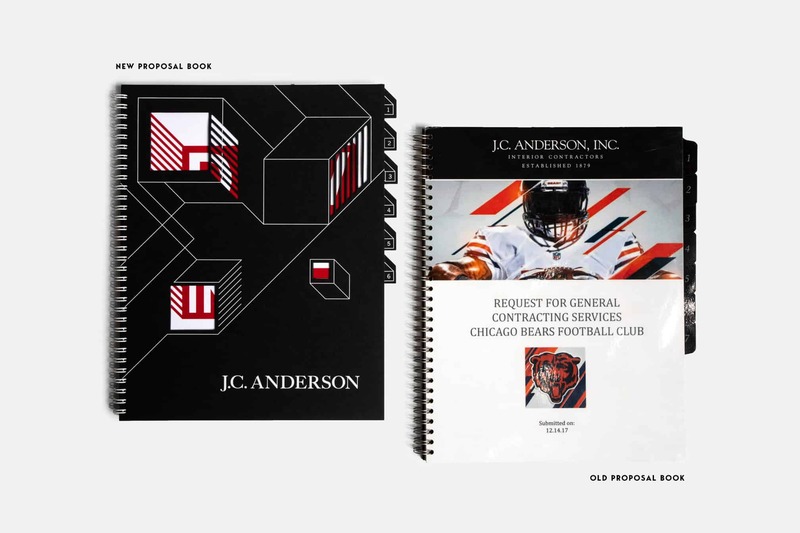 J.C. Anderson has nearly 140 years of experience serving Chicagoland, and the company’s talented employees and commitment to getting the job right, every time, have served it well. 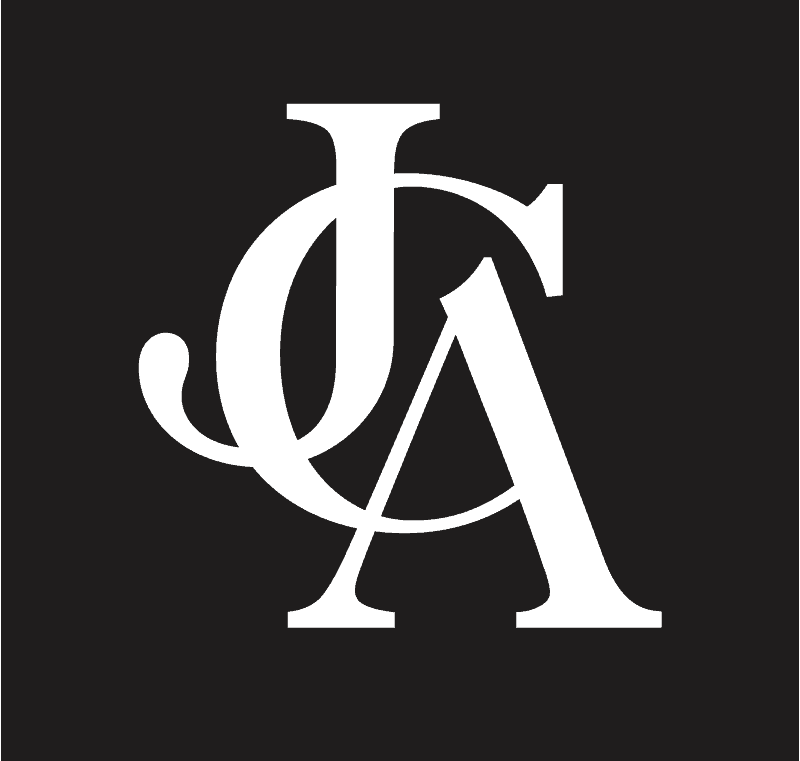 But the bidding and proposal process exposed a perception problem: the misconception that JCA specialized in turnkey work and was less versed in larger, negotiated projects. 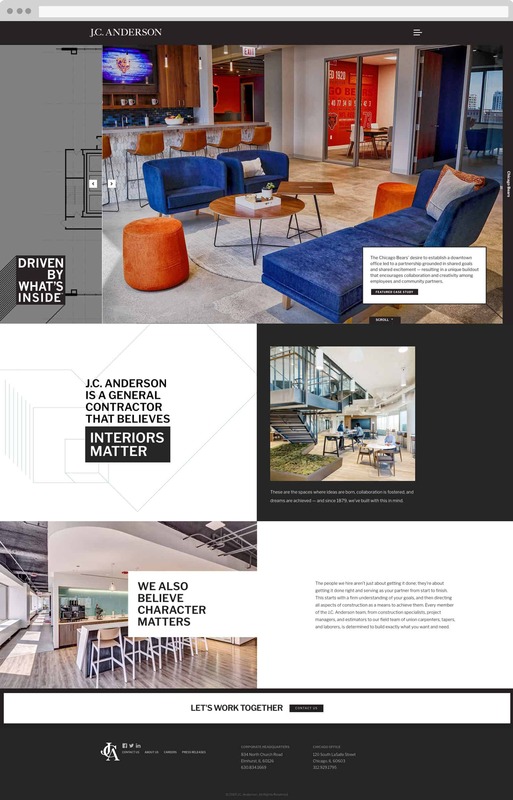 Eager to dispel this, J.C. Anderson set out to make it clear that their successful partnerships and proven performance illustrate their continued ability to tackle larger, more skilled jobs. 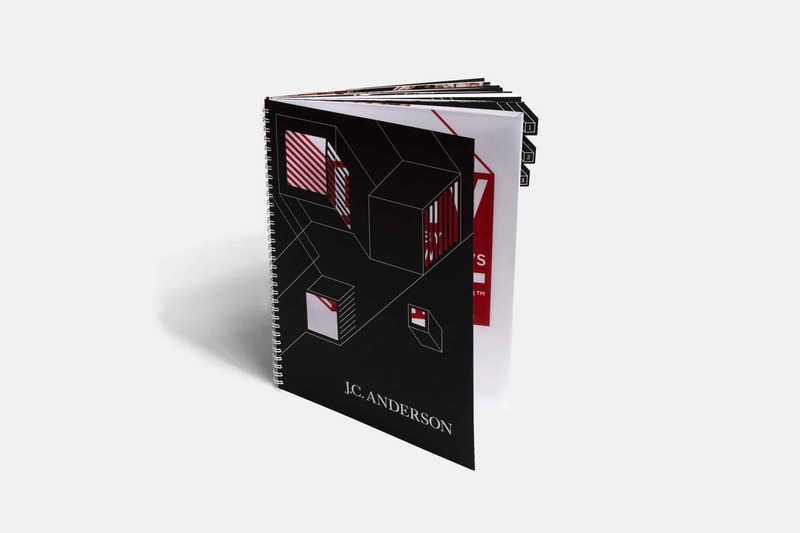 J.C. Anderson believes interiors matter. But for them, anything they build is about more than just function. These are the spaces where ideas are born, collaboration is fostered, and dreams are achieved — and they build with this in mind. They also believe character matters, and it’s reflected in their people. “Driven by what’s inside” touches on both, demonstrating value to owners and owner’s representatives looking for a firm they can trust. 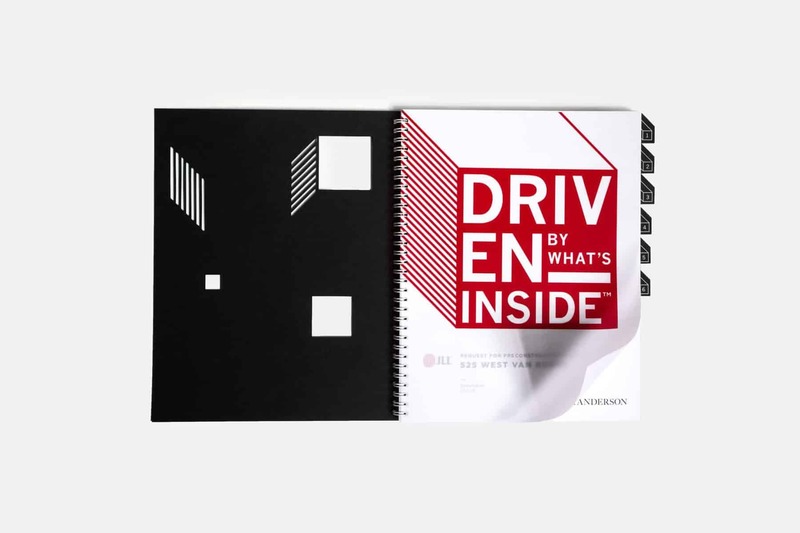 “Driven by what’s inside” positions JCA as the firm that believes it’s what’s inside that matters — both in terms of what they build and who they are. 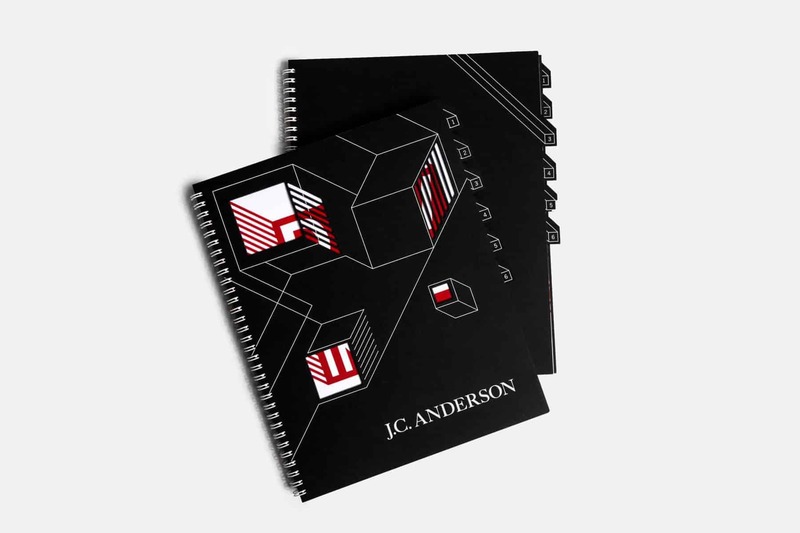 The new visual identity honors the legacy of J.C. Anderson through subtle updates that modernize and refresh the brand, with an abstract geometric reference to spaces and architecture. The removal of “Inc.” from the logo enhanced approachability, the new typeface is cleaner and more geometric to better reflect the modern spaces they build, and legibility has been prioritized through careful attention to letter spacing. Additionally, the monogram mark offers a flexible shorthand for the brand that will also serve as a recognizable symbol. 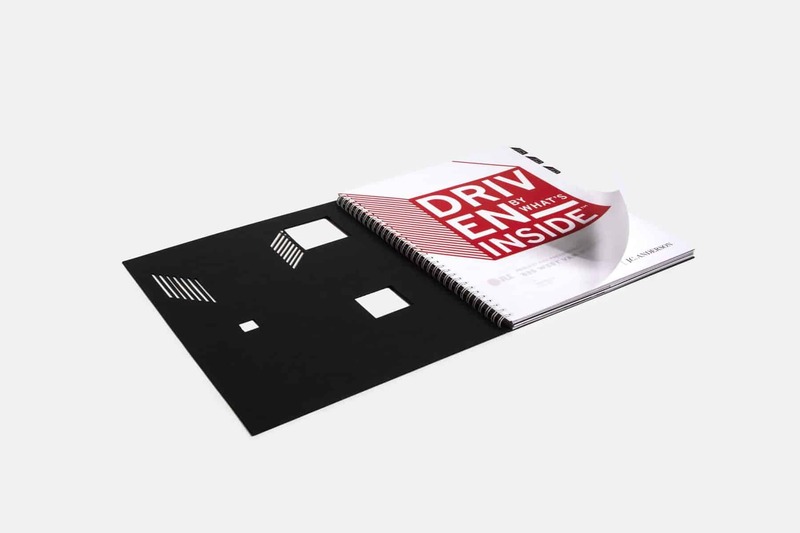 Die cuts on the cover to give a very tactile and visible representation of the brand message, allowing the reader to see some of page one’s “Driven by what’s inside” mark through the cutouts. 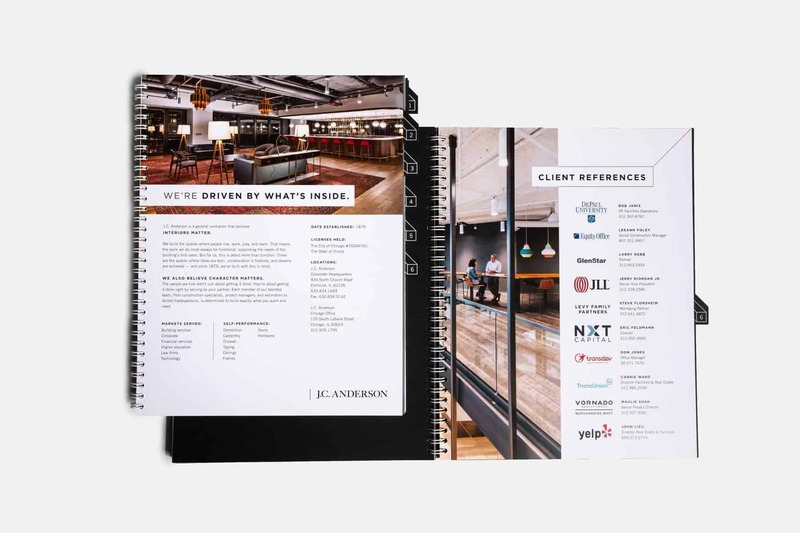 This translucent vellum page also houses the client’s name, and the two work in conjunction to quickly and effectively communicate J.C. Anderson’s drive to be the partner their client wants and needs. 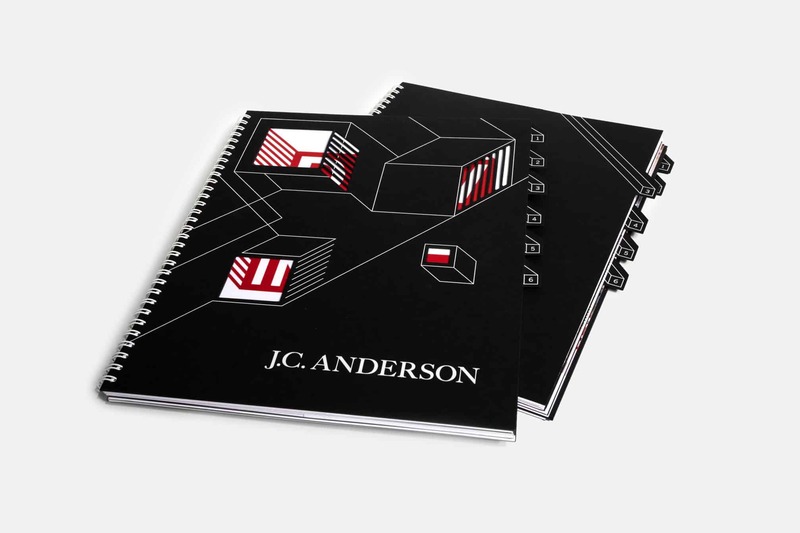 The new, modern website builds on the brand message, encouraging visitors to explore what’s inside through an interactive slider and case studies that reveal the motivations behind J.C. Anderson’s work. 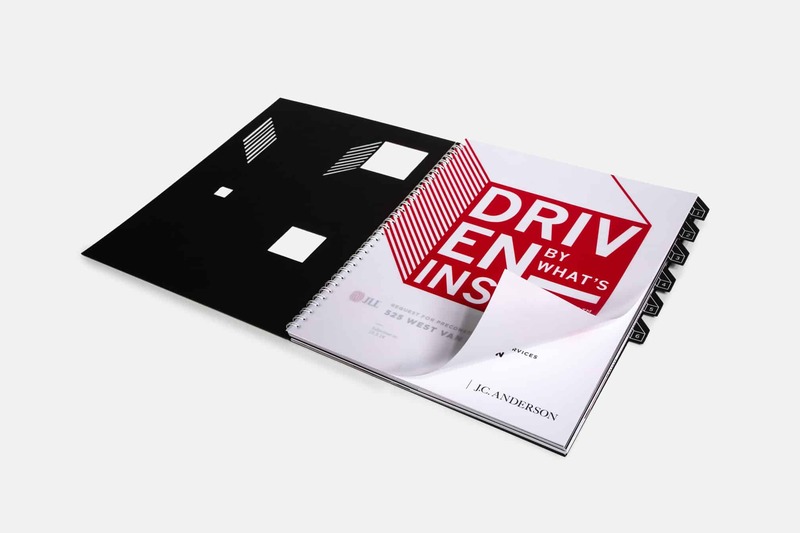 Now armed with a new way to tell their story, comprehensive staff training to bolster project interviews, and a proposal book and website unlike anyone else in the industry, the J.C. Anderson team is excited to take ownership of the “driven by what’s inside” message.